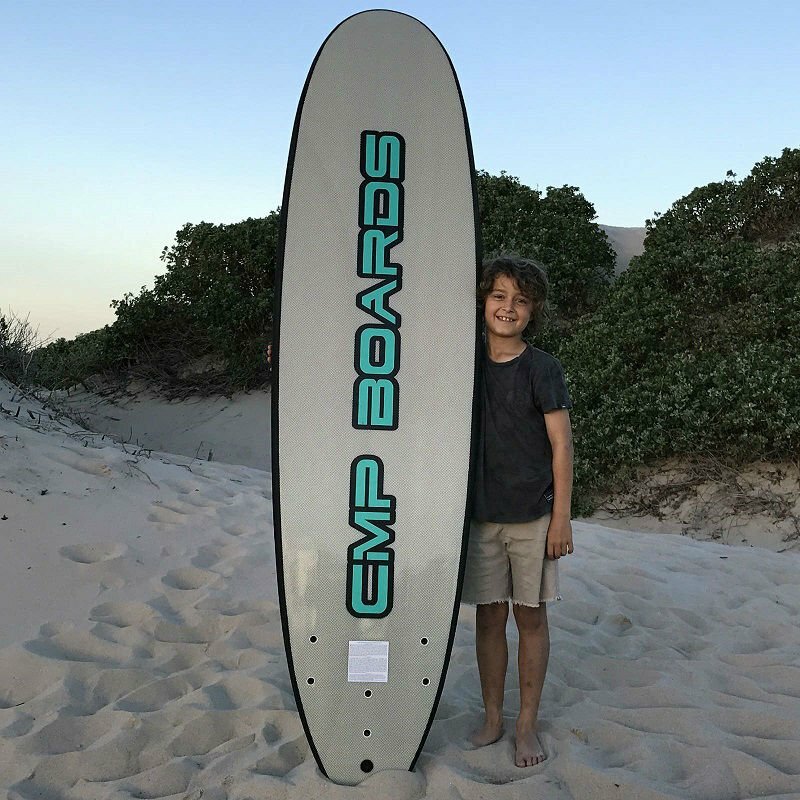 This is our middle length, low impact board for the beginner surfer. Designed to help the new surfer move up from the absolute surfing basics, this length will be both challenging and fun. A combination of maneuvrability and speed present enough challenges to be both exciting and fun. 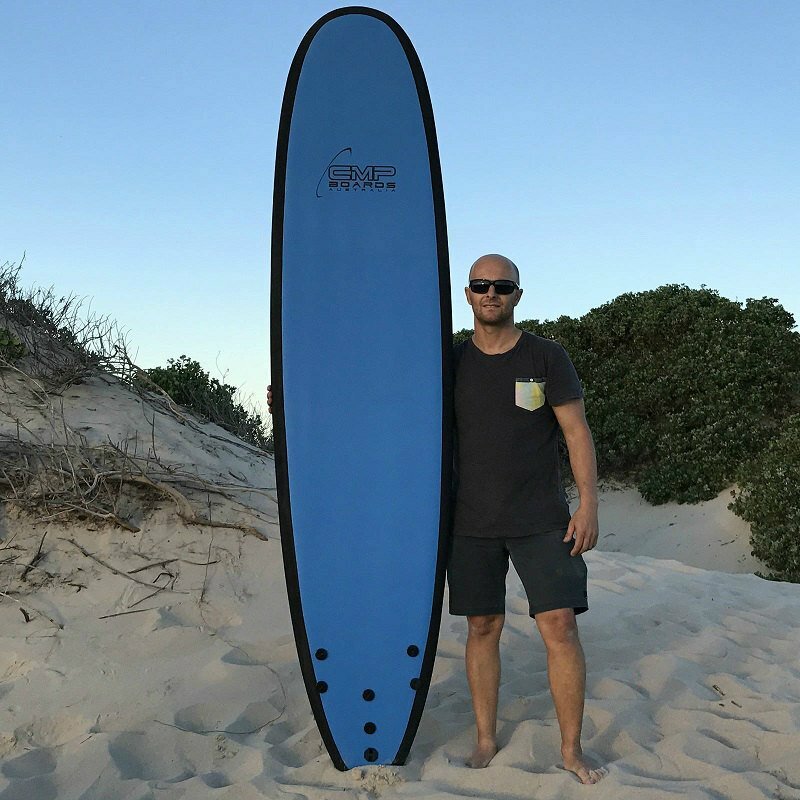 Surfing on a regular surfboard is the goal, and this board moves that experience closer to the next level. A perfect and balanced training solution defines this board. 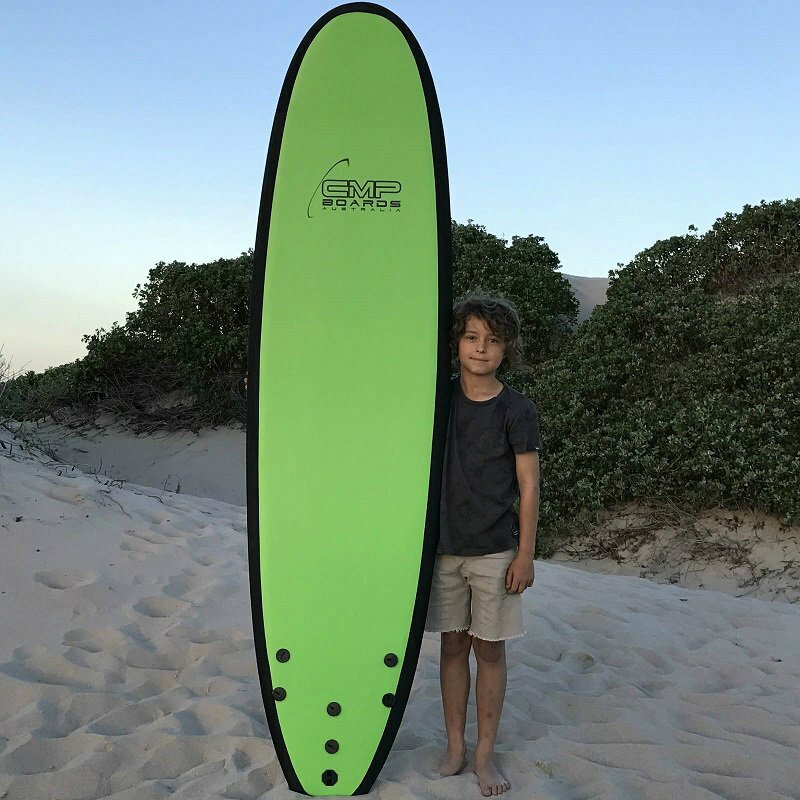 What makes this possible is the foam core which has a high buoyancy so that you can paddle quicker and get to the top of the wave quicker. 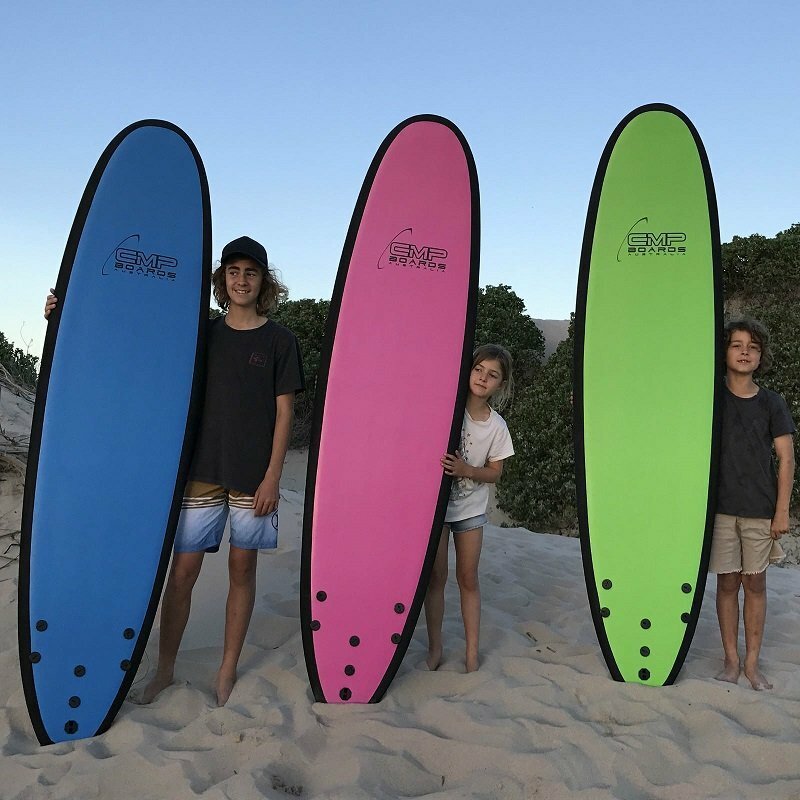 Having all the features of a regular surfboard, its foam composition allows for a safe and fun way to learn surfing.